Brown’s social science work has practical applications for people of all ages and walks of life, which is why this event was set to be packed from wall to wall. The problem? Brown’s flight was late. Really late. 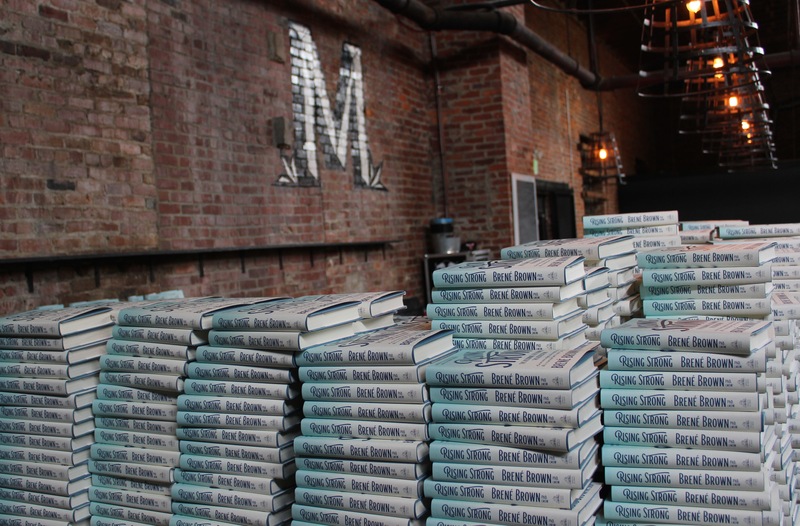 Brown got into Nashville sometime around 2 a.m. on Friday morning, a day loaded with pre-event activities and meetings, starting with signing thousands of books in preparation for Saturday. Event planners, A/V folks, gift bag stuffers, delivery people, and guys driving forklifts buzzed around Marathon early Friday morning. Parnassus staffers were there, too, making sure the piles upon piles of books were ready to sign. There was an air of concern in the building — not full-blown panic, but a bit of worry — because nearly half the Penguin Random House team were still stuck in New York thanks to flight cancellations, meaning that in addition to being sleep deprived, Brown and the support staff were going to have to do more with less. Then Brown walked in: calm, smiling, and determined. She stepped over some empty boxes, pulled up a barstool, and grabbed a Sharpie while she introduced herself. We pushed and pulled the books from in front of her, and as she signed, she cracked jokes and told stories. All hands on deck. Literally. Travel weary or not, Brown blew us away. 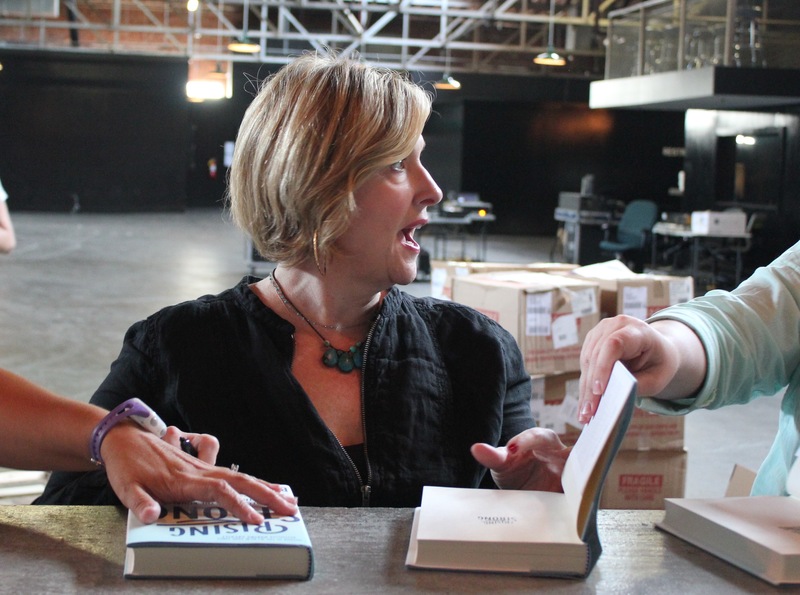 In sum, she was exactly as we imagined her from reading her books — just as warm and funny and smart as we’d hoped. So it came as no surprise that Saturday, while nonstop busy, went off perfectly smoothly. 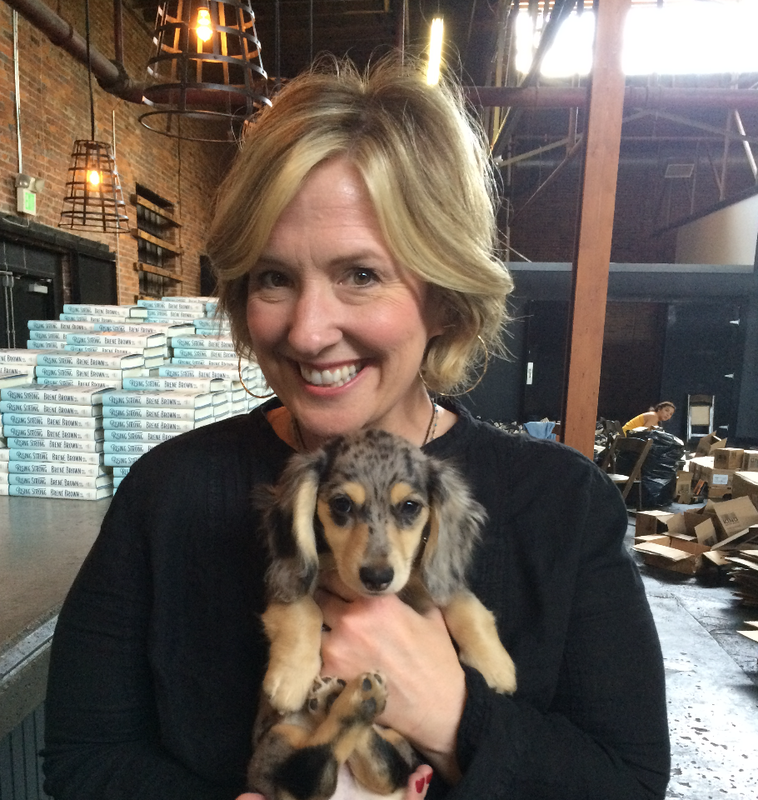 Brown even paused to snuggle the youngest Parnassus shop pup, Mary Todd Lincoln, who came along for the ride. We’re very grateful that Brown took the time to sign not just the books for that event, but a big stash of extras, which are now on sale at Parnassus Books. Come into the store to get one or order online while they last!